Originally formed in 1979 as The Rat Finks, the Red Rockers were the most successful band to come out of New Orleans’ early punk scene. 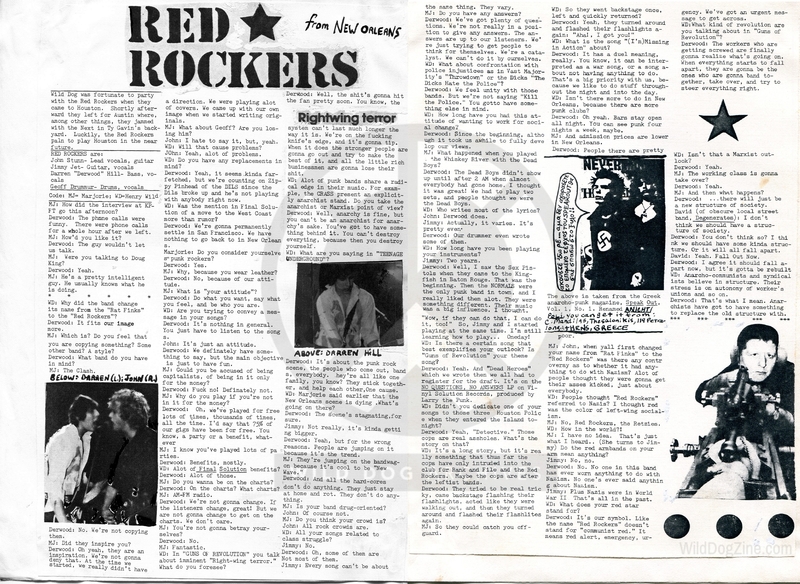 Red Rockers gigged at the Island in Houston in 1981 while on tour. Henry “Wild Dog” Weissborn and contributing interviewer Marjorie were “fortunate” to party with the band during their stay, according to an interview in WILD DOG zine, in which Darren “Derwood” Hill discusses The Clash’s influence, opening for The Dead Boys at Houston’s Whiskey River in 1979, the changing New Orleans scene, and dedicating a song to the Houston Police at the Island performance.